There is no doubt in my mind that with the NEX-7, Sony have raised the bar as to what we might expect in a compact system camera, and indeed have gone a long way to changing perceptions about how cameras might look in the future. There was a review of it that said that the NEX-7 had medium-format image quality, DSLR functionality and compact camera size. I don't think its any of those in a real sense, but its damn close! For me the 24MP is the headline feature, as for what I do, its perfect. Travel and Stock Photographers will love this camera, allowing them to provide huge files for clients and picture libraries without either breaking the bank or breaking their backs. Its combination of speed, versatility and lots of well thought features, such as the virtual spirit level and focus peaking for manual focus lenses make for a very attractive package indeed. 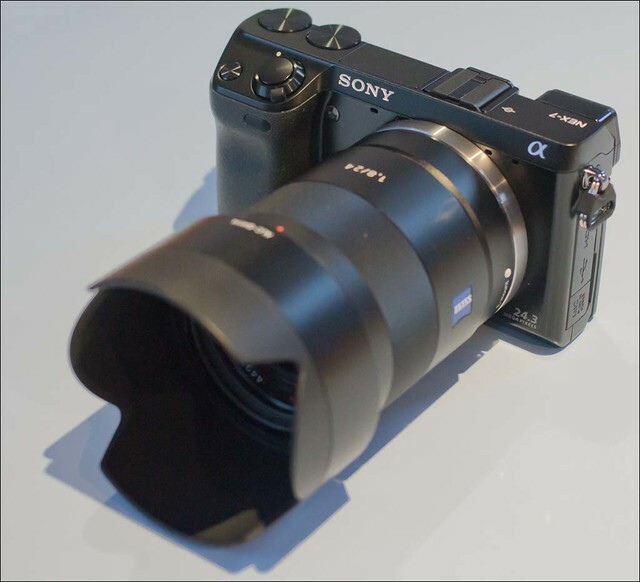 Like all the NEX system and many of the CSC's it also allows the use of 1000's of lenses, and while not ideal, Sony have thought to produce an excellent (yet pricey) adapter to use their a-mount lenses on while they get on with (hopefully) filling their (again hopefully) temporary lens gap. In terms of optics, the NEX lenses themselves are adequate, while not spectacular in terms of performance, but in the Zeiss 24mm f/1.8, they have produced what (again hopefully!!) is the first in a long line of professional grade primes. I've waited virtually 6 months to get my hands on a NEX-7, and I was beginning to think "was it worth it?" However I'm glad that its finally arrived. I can find very little to fault it, apart from the poor high ISO performance, but since I knew that was coming and its not an issue for me, its not a problem. I can without hesitation say that its the best camera I've ever bought. (Yes I know thats the 3rd. this year, but its been an especially good year!!) Is it my perfect camera? Well no. But once again - its damn close.